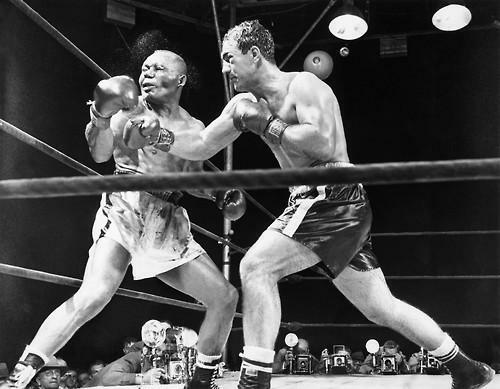 Rocky Marciano is known around the world as the greatest heavyweight champion of all time. But what’s not as well known about the boxer is his strong connections to New England. Rocky Marciano, born Rocco Marchegiano, grew up in Brockton, MA. His first professional fight was in Holyoke, MA. And most of his professional fights throughout his career were fought in Providence, RI. 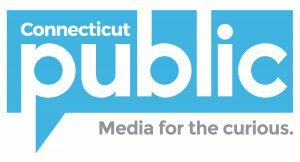 Mike Stanton spoke with John Dankosky to discuss Marciano’s ties to New England. 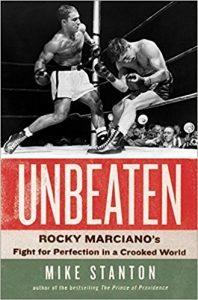 He’s the author of the new book, Unbeaten: Rocky Marciano’s Fight for Perfection in a Crooked World. John Dankosky: What was Rocky’s childhood in Brockton like? Mike Stanton: He was the oldest son in a family of six children, so there was a lot of responsibility ascribed to him. He loved sports. He had a fairly idyllic childhood. He was a Depression [Era] child. He was born in the 1920s, came of age in the 1930s. There was a lot of anti-Italian prejudice in the 1920s in America and in Massachusetts. This was the age of Sacco and Vanzetti, who were arrested on the Brockton trolley near Rocky’s house. There were immigration bills passed in Congress to shut the doors to Italian immigrants who were branded as a race of pickpockets; who should all be fingerprinted and rounded up. So he came of age in that environment. Boxing–and this is what really drew me to this story–is really part of the fabric of America in the early to mid-1900s. Kids would box in their backyards. Every little city would have its fight club and fight night and guys that worked in factories would fight and their families and friends would go see them fight, and a lot of them weren’t dreaming of glory, they were just trying to get an extra paycheck and do something after hours. He was a strong kid, but he wasn’t particularly motivated in school. He dropped out of high school. His first love was baseball. He could slug the ball a mile and he had a tryout with the Chicago Cubs and he washed out. So boxing became his only alternative to avoiding life in the shoe factories that he dreaded after seeing what his father endured. Boxing was a place that immigrants could identify with their champions. It was a place for individuality in an increasingly impersonal age of factories and cities and industrialism. And there were all these ethnic rivalries that would be like Shakespearean plays that would play out in the ring. And you go to these smoky arenas in these small New England working-class cities. There’d be betting going on in the background, there would be all kinds of unsavory insinuations about fixed fights, especially in Providence, which was the mafia capital of New England. Tell us more about that. The mafia controlled so much of the boxing world, explain how it affected matches Rocky was a part of and went on around him. How much did race play a part in Rocky’s story? Race and ethnicity are really big parts because boxing is a prism into the story of immigration. It’s the people who come here who are on the bottom rungs, trying to climb the ladder of success to the American dream. So what you see going back to the dawn of the 20th century when boxing is semi-legal, you’ve got the Jewish fighters in the tenements battling their way out, you’ve got the Irish fighters, the Italian fighters, then you’ve got the black fighters and the Latino fighters coming along. And so it’s this great melting pot in the circle square. Aside from those ethnic rivalries, what I found with Rocky was there was a surprising amount of tolerance about people who were different. There was no racial animosity and he respected the black fighters he fought. This is an edited interview from the August 23, 2018 episode of NEXT. You can listen to the entire show right now. Find out when NEXT airs throughout all of New England.